Optional lunches with returning students starting at 12:00; students who get out of class at 12:57 will have time for a very quick lunch in the Jamail Pavilion. Recent alumni who work in various fields will discuss their paths through law school and explore how lawyers across sectors of practice (non-profit, government, firms) participate in social change lawyering. Join returning students, alumni, faculty and staff for cookies and conversation. 4:15 – ? Student Happy Hour – Haymaker, 2310 Manor Rd. 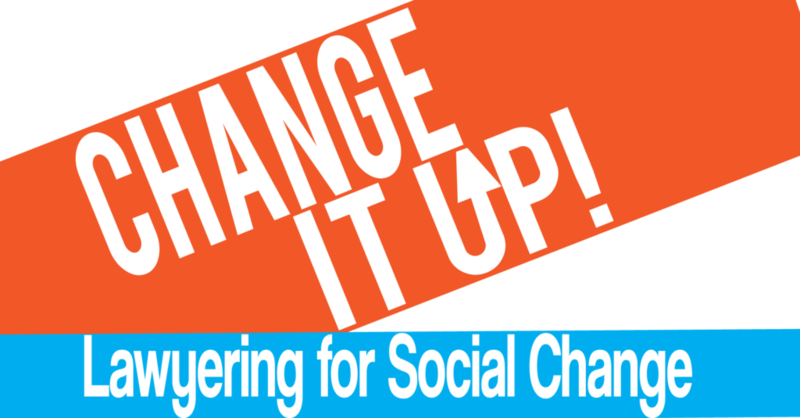 Register by 5pm on Friday, August 31 at https://changeitup2018.eventbrite.com. Blake Strode is the executive director of ArchCity Defenders, a nonprofit civil rights law firm in St. Louis, Missouri providing holistic legal advocacy and combating the criminalization of poverty and state violence against poor people and people of color. Strode is a native of the St. Louis region and joined ArchCity as a Skadden Fellow and staff attorney following his graduation from Harvard Law School in 2015. Prior to becoming executive director, Strode helped to establish the Civil Rights Litigation unit at ArchCity, which has brought challenges to a variety of unlawful and predatory practices including debtors’ prisons, police misconduct, and inhumane jail conditions, among others. In the past few years, Strode and his colleagues have filed more than 30 civil rights cases in state and federal court, impacting upwards of 40,000 people in the St. Louis region. Strode also played a significant role in the class-action debtors’ prison case against the City of Jennings, Missouri that reached final settlement in December 2016. The landmark case provides a blueprint for permanent legal reform in the region’s courts, and afforded monetary relief to hundreds of individuals who were jailed because of their inability to pay court debts.